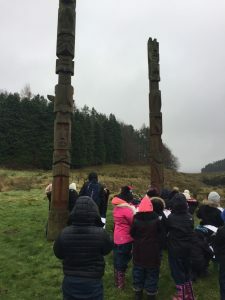 As part of our work studying Native America we visited Stonehaugh, in Northumberland. 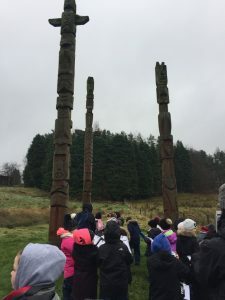 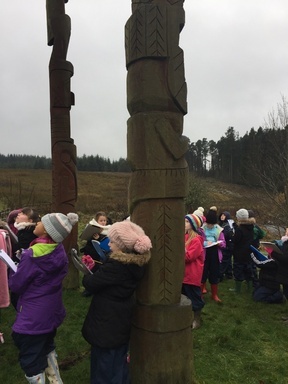 During our visit, we sketched totem poles and then created our own settlement using sticks, string and a large sheet of tarpaulin. 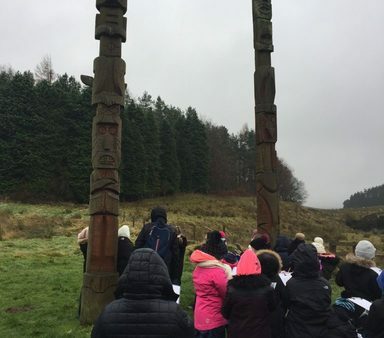 We chose a place near a river, that was in a flat, sheltered area and would have access to food. 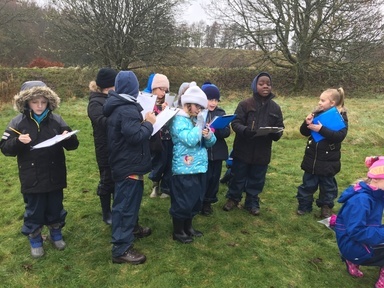 Luckily, we all had packed lunches so there was no need to go off on a hunting expedition!